In Nigeria, giving or receiving anything with your left hand is generally perceived as disrespectful. For this reason, people who prefer to use their left hands are constantly corrected, sometimes insulted and as is the case with little children, are many a times forced to use their right hands instead of their left. If nature made some of us – no matter how few, left handed, why do too many of us think of left handedness as being wrong or improper? 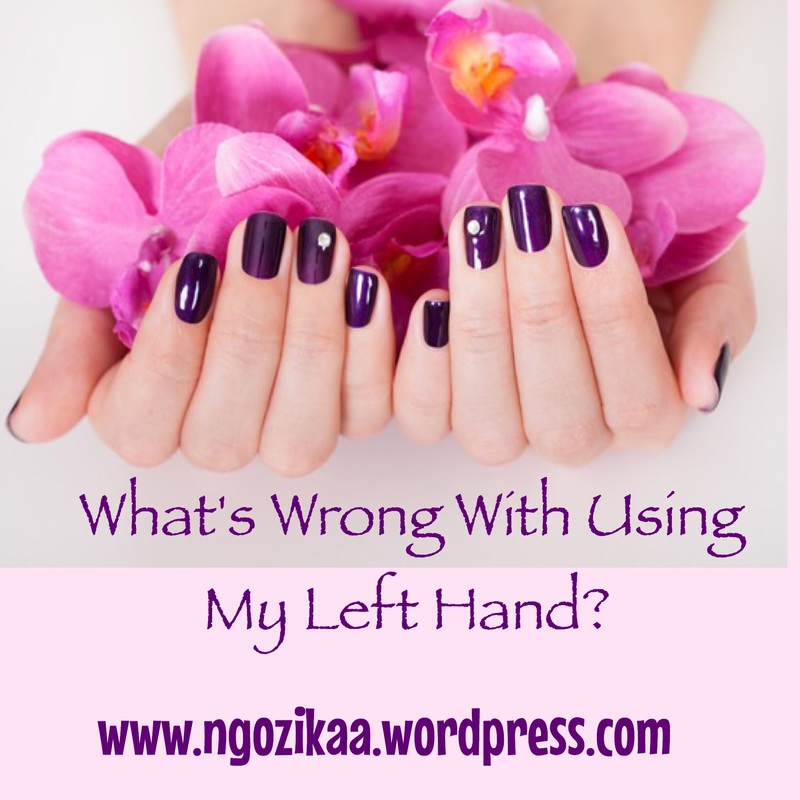 I decided to do some research of my own to uncover if there was some scriptural reason why it was disrespectful to give or receive anything with our left hand and I found none. Then I proceeded to ask others what they believed and why and I discovered: most of our negative associations with left handedness are rooted not in scripture or in logic but in negative superstitions. People just get upset when someone gives or receives something from them with their left hand simply cos that’s what society has taught them. Yet much of the reason for society’s negative bias is based on superstitions! 1. The devil is usually portrayed as left-handed and it is believed that evil spirits lurk over a person’s left shoulder. This is believed to be the reason why the Greeks & Romans wore the wedding ring on the left hand-to ward off evil spirits. 2. Back in the day when people used the left-hand and water in cleaning up after ‘taking a dump’, the left hand was considered unclean and as such it was disrespectful to give or receive anything with your left hand. 5. Making a toast in honor of someone, with your left hand is considered to be the same thing as placing a curse on the person! So in the end, I’ve come to the conclusion that much of our upset with people who give or receive something from us with their left hand is needless. Have you dear leader been fond of making negative associations with the use of the left hand? Please stop. All those fears or worries are needless cos they’re based on nothing but superstitions. If you know any interesting left/right handed superstitions or myths, puhleez share it with us in the comment below! Thanks. by clicking on the FOLLOW button.